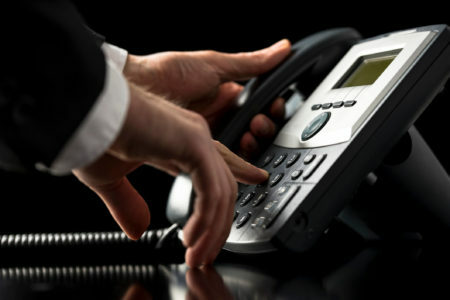 What is hosted VoIP technology from Triad Telecom? Hosted VoIP or voice over Internet protocol, is a cloud-based platform that routes calls over the Internet. Our hosted PBX service is a complete phone solution that is sophisticated, easy to use and provides crystal clear HD sound quality. Unlike traditional premise-based phone systems, Triad Telecom’s cloud based solutions are flexible, easy to use, cost effective, and deliver the advanced functionality that your business needs. Our hosted solution provides a constantly growing list of industry leading features such as auto attendant, conference calling, call parking, music on hold, and voicemail to email. With our find me, follow me feature, you can receive your business calls on your cell phone, home office phone, laptop or other device so you will not miss that important phone call. It is a versatile system that adapts to the specific needs of your business and eliminates the need for phone equipment to be stored in a closet or equipment room at your business location. All businesses need to be prepared for disaster recovery. In the event of a power failure or loss of internet service, calls can be rerouted to a cell phone or a different location to maintain business continuity. Our system is designed to fit your needs now and is scalable to meet your needs as your business grows and changes. Isn’t it time your business ran more efficiently by switching to a voice solution that is versatile, cost-effective, and is easy to use? Contact us today to find out what our business communication solutions can do for your business!